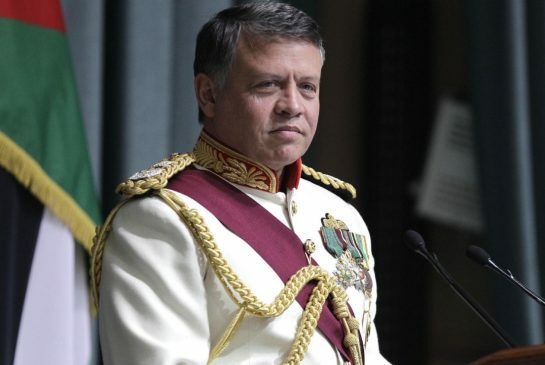 King Abdullah II: On his deathbed, the late monarch Hussein decided to give the throne not to his brother Hassan, who was heir prince for several years, but to his eldest son. This “confession”, made during as interview in the royal palace of Amman, with several European journalists (I was one of them), invited by the United Nations for a mission to the Middle East, was both a kind of self-criticism and, at the same time, an apparent effort to awaken dormant consciences of the Arab leaders. In an address centered on the democratization process in Jordan and the Israeli-Arab negotiations, the Hashemite King expressed great flexibility but without being too explicit. 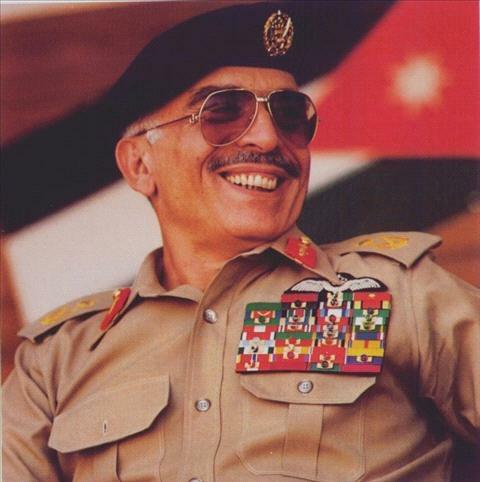 Although Hussein singled out the Jordanian Parliament as an example for other Arab countries, he had to admit that some deputies and members of his Government objected to the peace process. In order to prevent a strange alliance between the Muslim Brotherhood and the communist bloc from boycotting the  Madrid Conference, the King used his constitutional powers, in October, to postpone the opening of the Parliament for a few days. 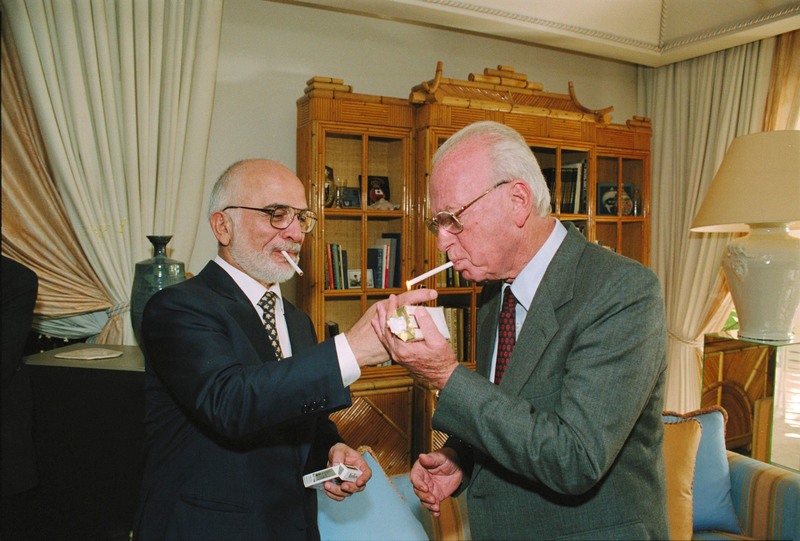 King Hussein lights Yitzhak Rabin‘s cigarette at the royal residence in Akaba, shortly after the signing the peace treaty, 26 October 1994. The King and the Prime Minister had a very close relationship – Israel saved his life several times. “Some people stick to their own limited views… and there are henceforth dangers in the way of the peace process, although also a great hope”, underlined Hussein. At a previous meeting, Adel Irsheid, director of the Palestinian Affairs Department of the Jordanian Foreign Ministry, expressed his belief that one of the results of the peace negotiations would certainly be a confederation, not yet fully formed. 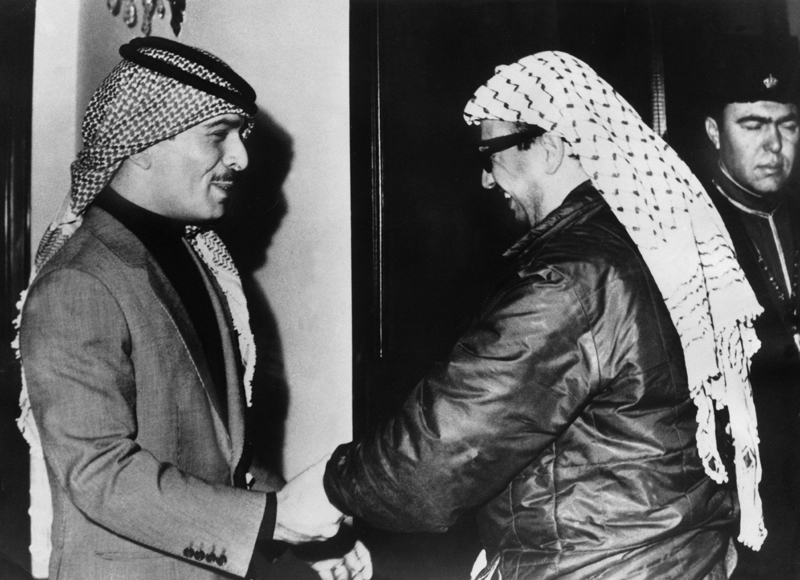 In 1991, the PLO and Jordan – where the around 60% of the population is from Palestinian origin – signed a political agreement stipulating confederation links between both parts in the occupied territories. A similar agreement, signed in 1989, by Hussein and Yasser Arafat, was never applied due to the pressure exerted by some “radical” factions on the PLO leader. Hereafter it was the “pragmatics” that forced him to move ahead instead of retreating. The Palestinian refugees right of return to their homeland or to be compensated in accordance with the provisions of United Nations resolutions must be respected, according to Hussein and Irsheid. More definitely than the King, Irsheid, being a Palestinian, is convinced that the majority of those who are living in refugee camps want to go back. And Jordan is giving to advise them on this problem. However, he guaranteed that no one would be forced. Those who choose to live in Jordan will retain the kingdom’s nationality. Abdullah I (1882-1951), was assassinated as he was entering al-Aqsa Mosque in Jerusalem for Friday prayers.He was the founder of the Kingdom, led the Arab forces of the Great Arab Revolt with his brothers Ali, Feisal and Zeid against the Ottoman Empire. 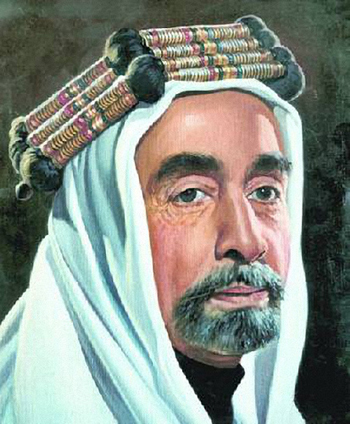 By the end of World War I, he assumed the Throne of Transjordan, formed in 1921. Expressing himself in strong terms, Hussein reaffirmed that the United Nations resolution 242 is still the basis of the negotiations; he insisted that, for the Arabs, East Jerusalem is occupied territory, albeit recognising that it is a different problem to be solved (Palestinians and Israelis contend that the city is their capital). Hussein also spoke about the need to settle the region’s water crisis – “a giant challenge” – which may lead to the next war. Afterwards, he explained that Israel’s security is something to be discussed, because it cannot be mapped on the land. It was a like a fairy tale. When the King was speaking, the Queen’s blue eyes were fixed on him. We understand now the meaning of her name: Noor al-Hussein or “Hussein’s shining light”. In the room, she switches on and turns off the lights, gives orders to the servants, receives messages – everything with the utmost elegance and discretion. When the King is coming to end his statements, she gives him emphasis by adding some words. [Noor, who was born, in 1951, as Lisa Najeeb Halaby (she was renamed on her conversion to Islam), is the fourth wife (now widow) of Hussein. 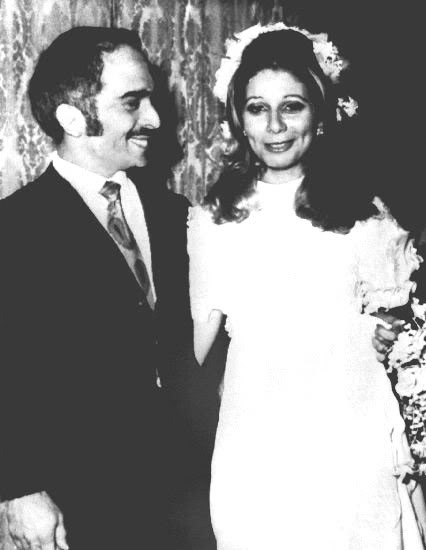 They married in Amman on 15 June 1978. The second wife was Antoinette Avril Gardiner (born 1941). 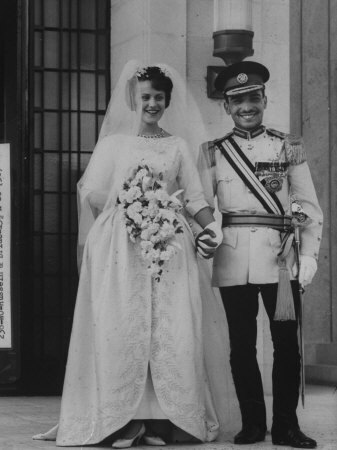 She was titled HRH Princess Muna Al-Hussein from the marriage on 25 May 196. 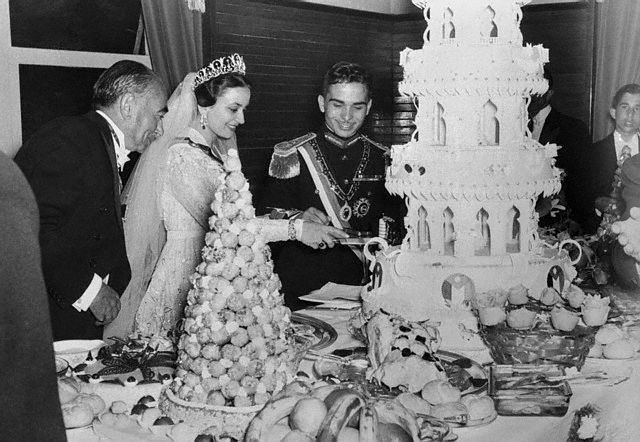 Daughter of a British army officer, “Toni Gardiner” and Hussein divorced on 21 December 1971, but she is the mother of the current monarch, Abdullah II. 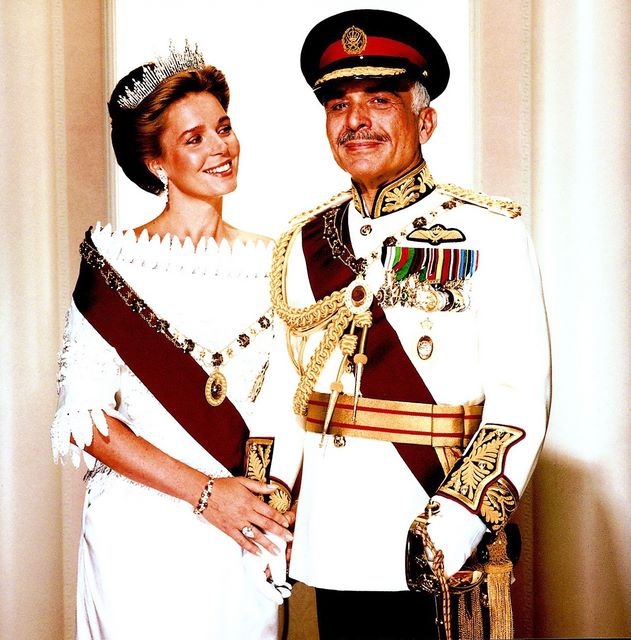 At 20, “Toni Gardiner” (mother of King Abdullah II) was given the title of Princess Muna al-Hussein, meaning ‘Hussein’s Delight’. This “Arabian Queen” Noor, daughter of an American (father) and a Syrian-Lebanese mother, appears to the visitors as a very self-assured woman, perhaps because she is the wife of a genuine survivor of the volatile Middle East. Hussein came to the throne in 1952, because his father was unable to govern, due to a mental illness. At 17-years-old, he became the youngest head of State. He survived all the “storms” in the desert – attempts to assassinate him, wars and revolutions – and managed to be one of the statesmen longest in power. As in children’s tales, Noor and Hussein also live in a beautiful palace. The road leading to this royal house is bordered by cypresses, pines and palms – in order to reach it, visitors must pass through three barriers controller by soldiers with green and red berets. There are no carriages or coaches at the entrance, only Mercedes and Jaguars. And there are lots, lots of guards. Neither pages nor chambermaids enter into this story; only secretaries, secret agents and bodyguards. From a small cabinet with antique objects and some books on politics and literatures, we are accompanied up to the royal couple. It is a solemn moment, for which we waited for about six hours. The meeting room is majestic. A huge piece of furniture carved in arabesques, inlaid with marble and tile, filled one of the walls from top to bottom. Water-colored pictures of the desert and Bedouins were an authentic tribute to the Hashemite monarchy’s roots. The oil painting of Abudllah I, hung in a corner, was in perfect keeping with the issue under discussion – the Israeli-Arab peace process. Hussein’s grandfather was murdered by a Palestinian, in June 1951, accused of having “sold his soul” to the British Mandate authorities, allegedly in order to establish a Jewish State in Palestine.